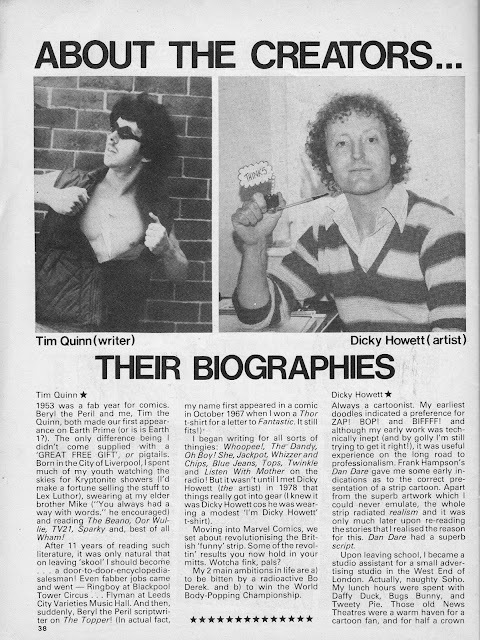 Tim Quinn and Dicky Howett were Marvel UK's resident mirth masters during the early 1980s with their gag strips appearing everywhere from FANTASTIC FOUR to DOCTOR WHO to CINEMA MAGAZINE (although they obviously couldn't think of anything funny to say about BLAKE'S SEVEN). Despite their near ubiquity, they only had two solo outings. 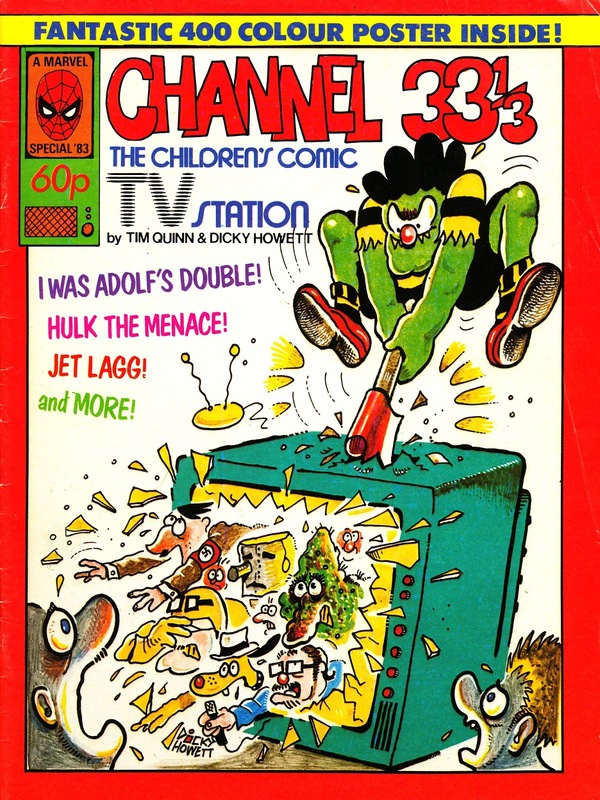 Their first was this: the CHANNEL 33 1/3 SUMMER SPECIAL from 1983. It's a mixture of new material and reprints of their various strips from across the line. 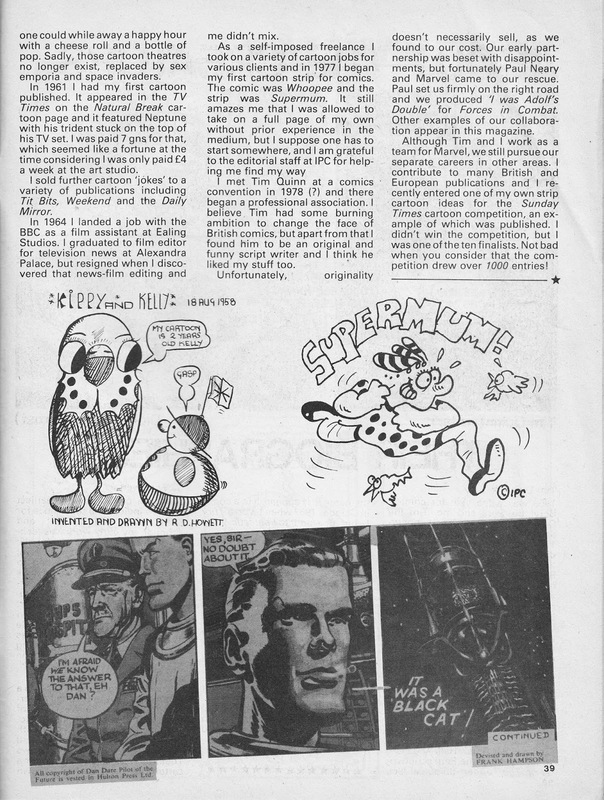 Quinn and Howett made several media appearances to promote the special. By way of context, this appeared the year after Britain's fourth (!) TV channel took to the air for the first time: Channel Four. The second was the 1988 DOCTOR WHO MAGAZINE spin-off IT'S BIGGER ON THE INSIDE which was an all-new sequel to their DOCTOR WHO FUN BOOK (published by WH Allen the previous year). Quinn stuck around at the Annex of Ideas and joined the editorial staff during the boom years of the early 1990s, stewarding THE EXPLOITS OF SPIDER-MAN amongst other books.